n continuation of our long-standing work with FremantleMedia’s Nouvelle Star, eTribez has powered real-time voting for live episodes of the show’s 12th season. After a long audition process, 10 contestants made it to the live shows, where the audience could vote all the way to the final show – via both mobile and web. eTribez’ unique voting mechanism allowed fans to spend show-branded virtual credits for voting for their favorite contestants. Fans earned their credits through daily activities in Nouvelle Star’s dedicated Audience Engagement platform, and were also able to purchase them with PayPal, by credit card and via their mobile device. Multiple votes could be cast with one click through a special post-voting pop-up, making eTribez theleading voting supplier, with millions of virtual credits spent on voting! For Nouvelle Star, one of the most popular entertainment shows in France, this represented a dynamic new way for their fans to engage and interact with the show. Nouvelle Star ran on Canal D8, a free-to-air flagship station of the Canal + Group, from January – May, 2016.
ith the advent of Audience-Generated Content, TV networks can now bring in original content from their audience in an easy, attractive, and efficient way – and use this content for TV shows, news broadcasts, sports events, and more. Where does eTribez come in? When the network calls its audience to contribute interesting content to their programming, users at home can connect to an eTribez widget seamlessly embedded into the network’s website or mobile app, and upload any content – whether video, photo or text. They can even share content on social networks using a special hashtag such as #breaking_news, #dating_stories or #my_olympics. Content producers easily collect and review the data that comes in from the eTribez widget and social networks, moderate the content, and then assign the content they feel is most relevant for their shows in real time to the network’s Broadcast Management System or to their website. 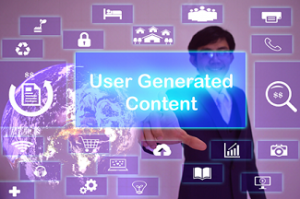 eTribez’ unique solution provides an efficient way to support this innovative way of creating new content from the mass audience, and in real time.